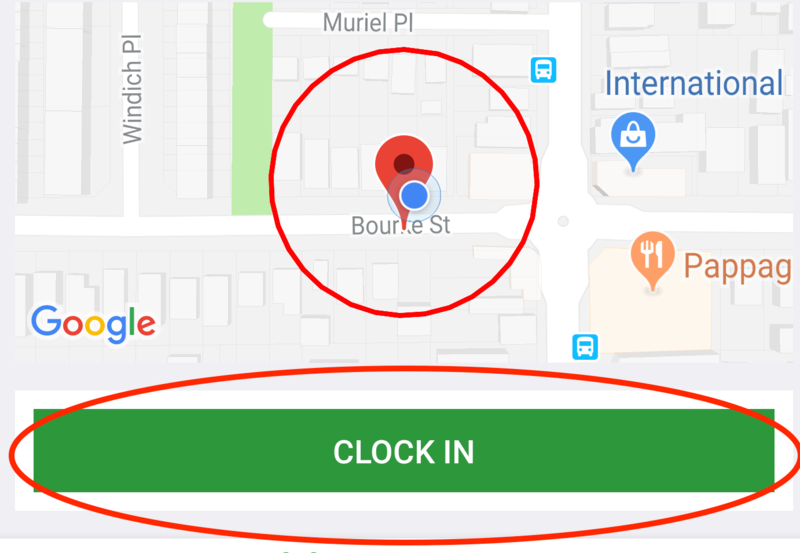 How can I Clock In/Out for shifts? 1. RosterElf Time Clock TABLET app. This option is perfect for fixed location businesses where a tablet is available within the premises. 1. RosterElf On The Go SMARTHPHONE app. This uses clever GPS technology to enable employees to clock in and out from their smartphones. 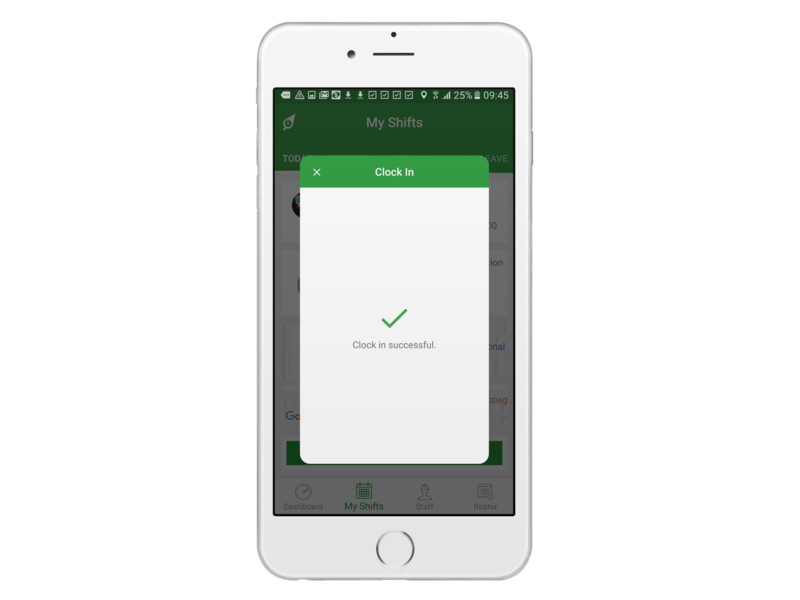 This article covers how employees can clock in and out for shifts using the RosterElf "On The Go" smartphone app. 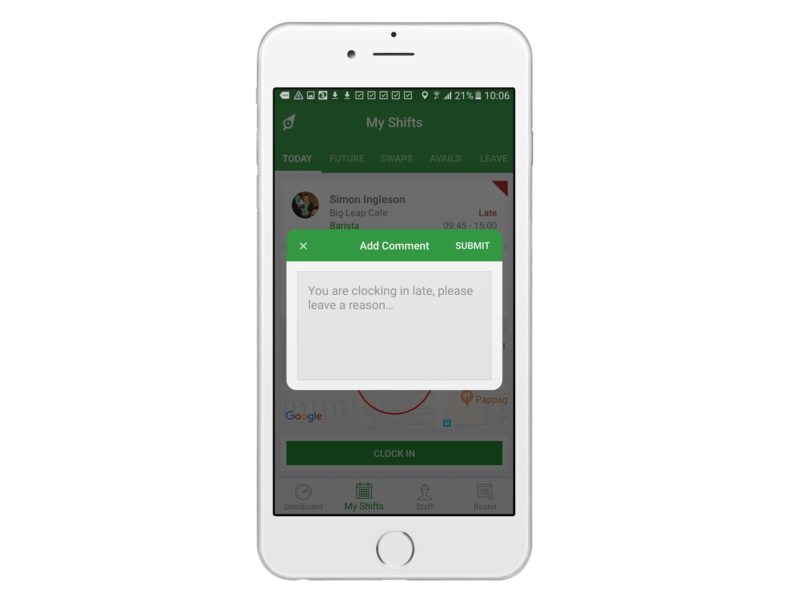 All users have a "My Shifts" menu on the smartphone apps. If employees have shifts for rostered for the current day, they can add view the shift information on the "Today" tab. 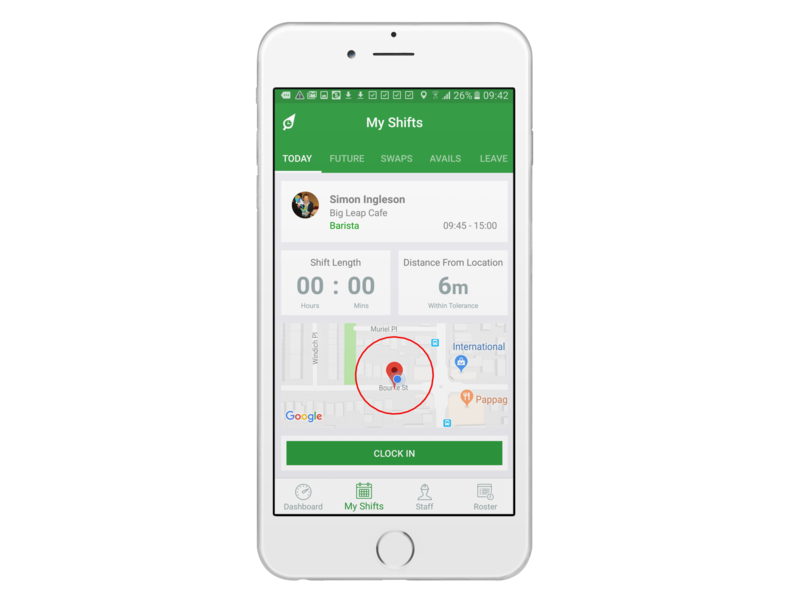 This section gives employees all the information they need including site, position and start and finish time of their shift. Employees simply need to click the "Clock In" button to register that they are starting their shift. NOTE: If employee GPS location is outside the tolerance set then they are unable to clock in for their shift. If an employee is clock in late for their shift (outside the time tolerance set) they will be prompted to leave a comment which will be recorded and able to be reviewed when managers are processing payroll. An optional setting for GPS Smartphone Time Clock is requiring employees to take a selfie as part of the process.If this is turned on, employees will be prompted to use their smartphone to take a photo on shift which is recorded for payroll. An employee will be advised they have successfully clocked in for their shift with a confirmation window similar to below.